Many ladies know that hair extensions is a very good way to add hair volume or lengthen the hair very soon. 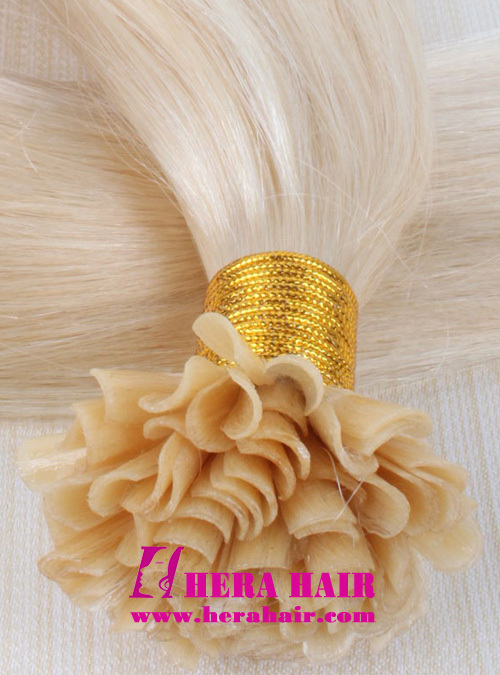 But there are many kinds of hair extensions in the market, such as hair weaves, clip in hair extensions, keratin fusion hair extensions, tape in hair extensions, micro ring hair extensions etc. Which one hair extensions we should choose? Today Hera hair will talk about the hair weaves, clip in hair extensions and fusion hair extensions. Who They're Good For: A partial weave is best for a woman who wants to add volume or length to her current style and has textured hair (such as African-American women who haven't used relaxers). A full weave is a solution for someone who wants to completely change her texture or color. Who Should Avoid Them: Anyone who washes her hair more than once a week (washing loosens the weave). A partial weave won't look natural on women who have baby-fine or flat hair. What They Are: For a partial weave, a stylist makes several small, tight braids along your scalp, then uses a curved needle and cotton, nylon, or silk thread to secure a weft (a line of extensions that are machine-stitched at the top, like a curtain of hair) to the braid. For a full weave, all your hair is pulled into braids before the wefts are sewn on. How Long the Process Takes: A partial weave can take as little as an hour and a half; a full weave can take three to four hours. Maintenance: Shampoo and condition every three weeks. Dry braids completely to avoid scalp irritation. How Long They Last: Every four weeks, your stylist tightens the braids and the weave; every three months, she will remove the wefts, wash and condition them, then reattach them. The hair should last up to a year. Price: $200 to $2,000 (depending on the length and type of hair). In fact, clips in hair extensions in one hair products base on hair weave extensions but clip in hair extensions will be more easier to apply and remove. Who They're Good For: Someone who wants longer or thicker hair temporarily. Who Should Avoid Them: Anyone with fine hair that can't hide the clips. What They Are: Clip-in extensions range from a one-inch piece with one clip to a weft that runs from ear to ear with three to five clips. 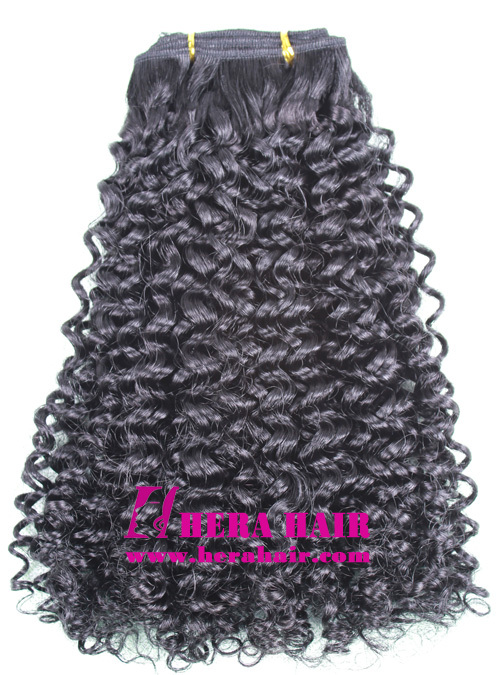 They're made with human or synthetic hair and come wavy or straight and in a wide range of shades. Clip them underneath the top layer of your hair to conceal the attachment. How Long the Process Takes: Five to ten minutes. Maintenance: You can shampoo and restyle them. How Long They Last: Clip in and remove as often as you like (but don't shower or sleep with them in). Quality extensions can be reused forever. Price: At a salon, you'll pay $500 to $1,000 for eight pieces (which includes a consultation, fitting, and lesson on attaching them). Some salons offer rentals: At Warren-Tricomi Salons in New York City, you can rent clip-in extensions for a day for $100. Or you can buy them and put them in yourself; two popular, natural-looking options are HairDo 5 Piece Clip-In Ultra Invisible 16 Extensions ($49;) and Ted Gibson Clip-In Extension Systems ($150;), which are made of a new protein-based synthetic hair that can withstand hot rollers, a curling iron, or a straightener. Who They're Good For: Those with fine or thinning hair. Who Should Avoid Them: Anyone whose hair is very dry or damaged. What They Are: Most salons offer Great Lengths extensions. Each one comes as a 100-strand lock of human hair secured at the top with a keratin protein polymer cap. In the salon, each cap is bonded to your own hair, near your scalp, with a tonglike tool. Depending on the length and thickness of your hair, you'll need 50 to 100 pieces. How Long the Process Takes: Two to four hours. Maintenance: "Shampoo and condition with silicone-free products, because silicone can make extensions slip off," says hairstylist Ryan Trygstad, at Sally Hershberger Downtown in New York City. Deep-condition the ends, but avoid getting conditioner on the bonds. Also, extensions tangle easily; brush them gently at least twice a day with a boar-bristle paddle brush. You might want to schedule a two-month follow-up appointment so your stylist can replace any extensions that have fallen out. How Long They Last: Four months (at which point it'll be easy to see where the extensions are attached to your real hair). Your stylist will use an alcohol-based solution to dissolve the bonds and then gently pull off each extension. Price: $1,500 to $2,600 (depending on volume of natural hair). No matter hair weave or clip in hair extensions and fusion hair extensions, they are not suitable for everyone, so you should choose the right hair extensions according to your personal situation. 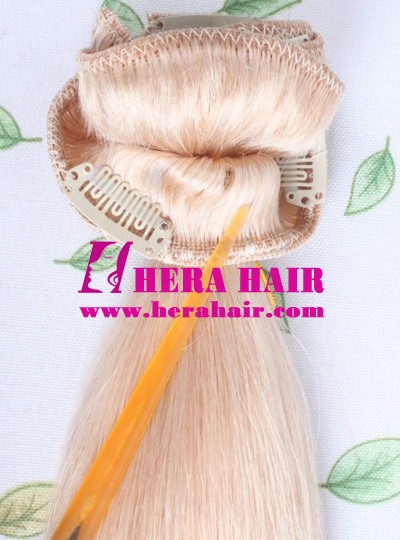 Any way, Hera hair hope the hair extensions could take more beauty for you.